Hey Clearplay Users and Blog Readers! Now is the time of movies! This generation’s preferred method of storytelling is magical and with Clearplay as your guardian, it’s also easy. The first non-animated movie I ever saw in the theaters was Robin Hood: Prince of Thieves and the last one was Sherlock Holmes (I have three kids okay; I don’t get out as much as I used to). There are hundreds of movies there in between and their allure hasn’t faded a bit. Storytelling has always been mankind’s way of entertaining, teaching, warning and lifting one another’s spirits. I love stories in any form whether it’s books, plays or movies. Movies are by far the easiest and least expensive way to enjoy a good story. So, it will be with great pleasure that I (and other Movie Moms as well), post about all things movie. Because honestly, the only thing better than watching movies is talking about watching movies...and maybe getting a really good foot massage. Here, on Clearplay’s blog, with Movie Moms as your guide we’ve got ideas to be shared, questions to be aired and opinions to be…heard?! 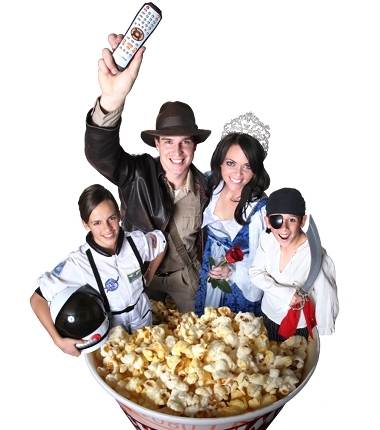 Stay tuned and tell your friends because we’re going to give you ideas for family movie night activities, girls’ night movie plans, movie polls and the best movie lists. Oh, and free stuff! We’re finding ways to bring the magic of movies into real life. So, get out the popcorn, bring on the Red Vines and let’s bring some life into movie night! P.S. Leave a comment here and let us know why you watch movies. Boredom? Escape? Or a true love of the big screen stories? 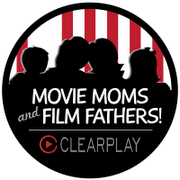 If you're interested in becoming a Movie Mom email us at moviemoms@clearplay.com with a sample of your writing.